SINGAPORE, SINGAPORE, July 13, 2018 /EINPresswire.com/ -- Crux Labs, a start-up headquartered in Singapore, announced the successful deployment of their telecom product, Crux LX, at Diabetes Singapore (DS), a non-profit organization affiliated to International Diabetes Federation (IDF) and the National Council of Social Service (NCSS). DS now has a common communication platform between its centers, mobile van and remote staff, that improves their reach, provides seamless access and delivers an improved experience to their patients and channel partners. Diabetes is a long-term illness and according to industry estimates, in Singapore, one out of nine people aged 18 to 69 has diabetes. Diabetics are required to make lifestyle changes and continued health monitoring to manage the illness and lead a healthy life, for which DS ties up with hospitals and clinics to help their patients effectively manage diabetes. As a Voluntary Welfare Organization (VWO), DS lacked distribution capability through a common telephony platform for patients to access its services seamlessly across Singapore. Increasing awareness and demand required DS to expand its outreach, while at the same time reduce their operating costs. The current communication system at various DS centers operated in isolation and did not allow cross-location collaboration. This prevented DS from providing patients a comprehensive view of its offerings across all of their locations. In short, DS needed to scale up their telephony and improve operational efficiency in order to deliver consistent, uninterrupted services in a cost effective, secure and compliant manner. SMBs like DS require cost-effective collaboration solution that can facilitate easier communication and better connect but does not burden them with a need for an inhouse IT team or create expensive vendor dependencies to manage such a solution. However, unified communication solutions involve either a high cost of acquisition or high monthly rentals with incremental feature cost. Hence, the involved complexity and costs make such solutions unattractive for Small and Medium Businesses (SMB). Crux LX not only simplifies the consumption of this complex technology, without comprising functionality – such that it is as simple as configuring a wireless router, but is also the most cost-effective solution, cheaper than cloud-based PBX service providers. “I had a very specific need for a telephony system for my organization. The only available solution was Crux LX. It turned out to be the most cost-effective solution as well as easy to install and configure. Its functionality is far outstanding and there is no comparable product in the market. It has significantly enabled us to increase our distribution reach.”, said Venkatesh Narasiah, Executive Director, Diabetes Singapore. Adding further, he said “With Crux LX solution, the staff just punches in 3-digit numbers to call colleagues across our locations without incurring any call costs. I am also able to stay connected to my office lines even when I am at home in evenings. This has not only enabled better collaboration across our centers but also helped us reduce monthly telecom rental and call charges by over 30%”. “Even in current digital age, 47 percent of on-premise communication systems sold every year, continue to be based on old analog technology, that lack collaboration features, sold largely to SMB – ie. companies with less than 100 users. 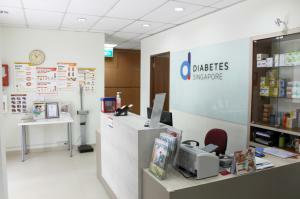 We are very happy that we were entrusted with the opportunity to serve Diabetes Singapore. Through this deployment, our product is touching the lives of many in Singapore. It is very satisfying to see DS draw benefits from using our product.”, said Rohit Gupta, Founder, Crux Labs. He added that, “DS is the first VWO that we have worked with to deploy Crux LX. We now understand the challenges and considerations of VWOs much better. We are looking forward to working with more non-profit organizations to help them break out of the lock in with old technology and reduce their expenses.”. Crux Labs is a Singapore-based technology startup focused on building IT products that simplify technology, in an innovative yet cost effective way, using open-source software and hardware. 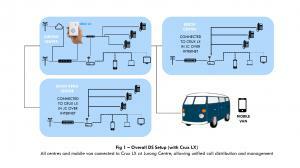 Crux Labs’ first product, Crux LX, is an effective alternative to complex and expensive telephony. This makes it an ideal choice for Small and Medium Businesses (SMB) globally. In January 2018, Crux LX became one of the 26 successful hardware-based crowd-funded ideas on Kickstarter from Singapore, and one of the very few in B2B segment. Diabetes Singapore’s mission is to raise awareness and to provide education, counselling and support to people with diabetes, their families and the community in order to empower them to lead a healthy and productive life.